Club Penguin Cheats by Mimo777 Club Penguin Cheats by Mimo777: Club Penguin Puffle Furniture Catalog Has Gone Orange! Club Penguin Puffle Furniture Catalog Has Gone Orange! On page one, click on the arm of the Salon Chair. 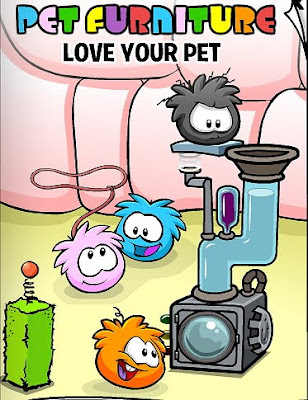 You get a Puffle Condo! You get the Red and Grey Houses! On page 3 click on the words "Puffle Bedz." 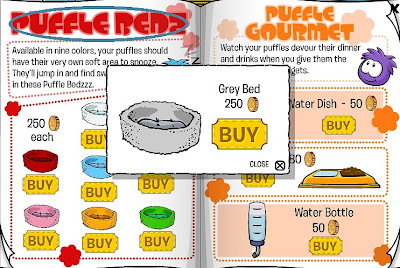 You get the Grey Puffle Bed! Awesome! Finally some cool cheats in the Pet Furniture Catalog. What do you think about the cheats and all the new stuff for your orange puffle? Hey mimo thx for the cheats theyre really great but i was just wonderin i know theres a gray puffle bed but why no black bed?? 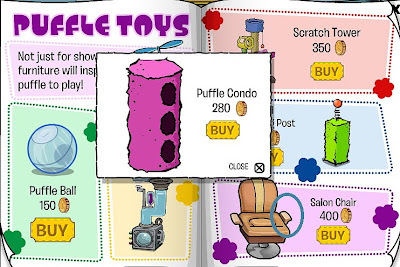 How come the Puffle Condo is a hidden item now!? That was a really cool item. so they put it Grey! Um Mimo, I don't think there's ever a "Grey" Puffle. I think you meant "Black Puffl," right? i reckon the next puffle colours will be brown and grey. 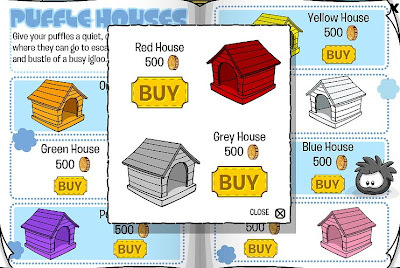 Hey mimo u can click on the black puffle to get a red puffle and grey puffle houses! (cpg mod) - pleease give me credit! 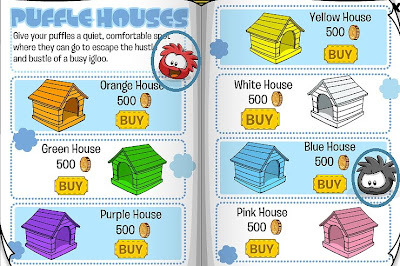 i already have the house AND bed for the orange puffle! there isn't a gray puffle. it's supposed to be a black puffle! well the gray furniture is supposed to be for the black puffles. well, because this year CP didn't have a St. Pattie's Day party like they usually do. yep, just a little error. Awesome! I love the new orange puffle furniture! Orange ones are my FAVORITE! They're so different! Me too! I have an orange puffle named O.J. (Orange Juice), and its my favorite because it is the cutest. I love their teeth! Haha.